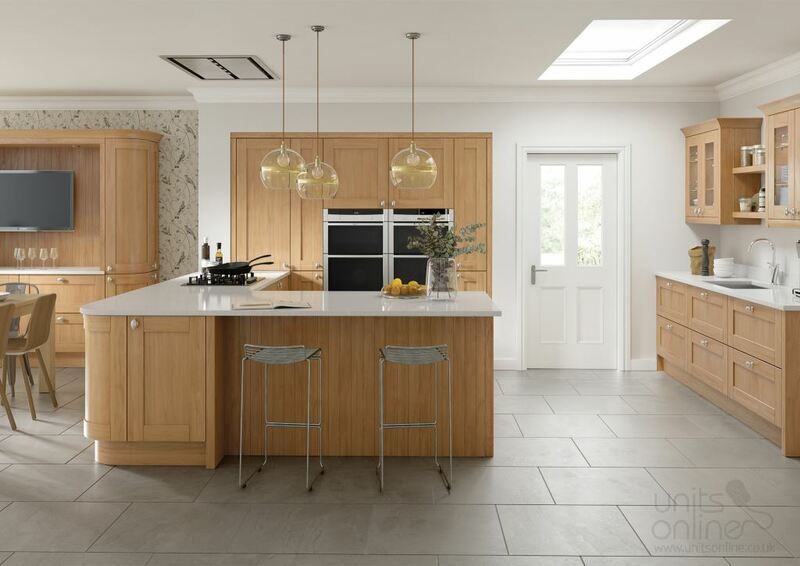 The Cambridge oak shaker kitchen is a favourite for those looking for a traditional kitchen. 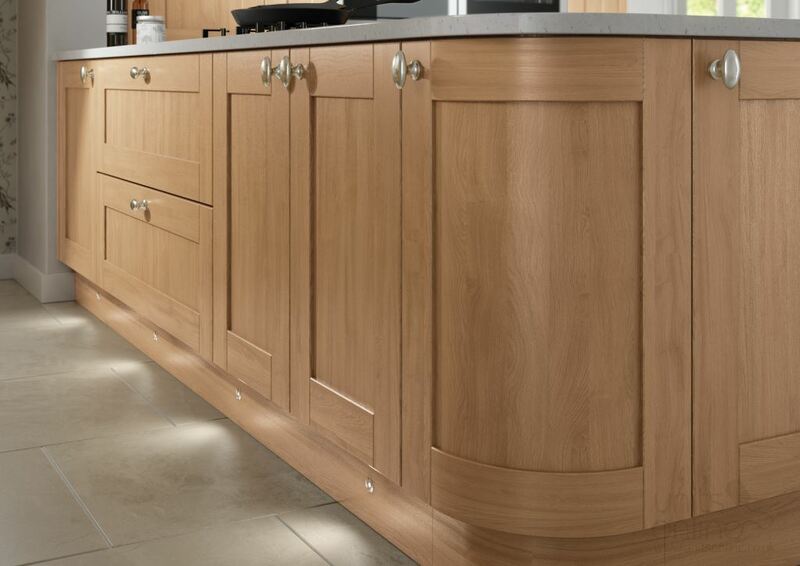 It's oak finish gives the kitchen the ability to blend with a wide variety of colour schemes throughout the kitchen. Use modern handle choices to give a contemporary twist to the traditional shaker design.